This just in: This year we are pleased to announce a $1,000 screening fee award dedicated to the works chosen for our Saturday Morning Cartoons/First Night screenings. The child-friendly animated works chosen for the screenings will receive a screening fee for the use of their work thanks to the generosity of the Puffin Foundation West, Ltd. There is also a $1500 Travel Award for filmmakers (of any type) to attend the CIF+VF. The filmmakers chosen will attend the Festival and one filmmaker may perform the final adjudication for the 2013 Greater Columbus Arts Council Media Fellowships. The filmmaker chosen to adjudicate the Fellowships will receive an honorarium as well as travel funds. These awards are not limited by division so all filmmakers are in consideration for these awards. 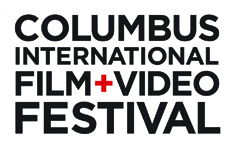 This year Stonewall Columbus will choose an LGBT filmmaker to attend the screening of their film and bring the filmmaker to the CIF+VF, all expenses paid. Over $13,000 worth of stock footage from Footage Firm and Video Blocks will be awarded to filmmakers entering the CIF+VF as well as a special one year download membership to their sites worth almost $1000. In the Film Treatment Division ONE AWARD will be given in recognition of the BEST TREATMENT. The top three entries will receive a professional script analysis/marketing strategy, courtesy of Mojofilter, and a copy of Montage, screenwriting software by Mariner Software. Total Value $1,000 for each Film Treatment winner.